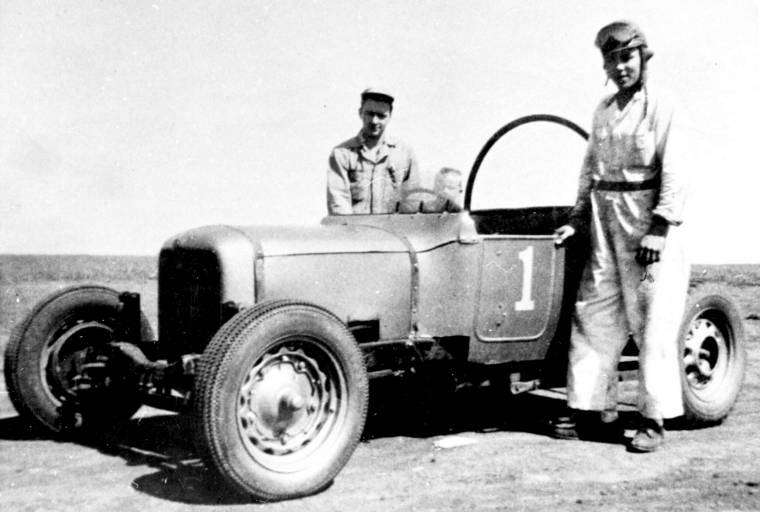 Each of the photographs on this web page is of Roy Still of Topeka, Kansas and his six-cylinder Chrysler hot rod. They are believed to have been taken in 1951. “My father owned the brown #1 Chrysler 6 roaster. I think he started racing in 1948 or 1949. 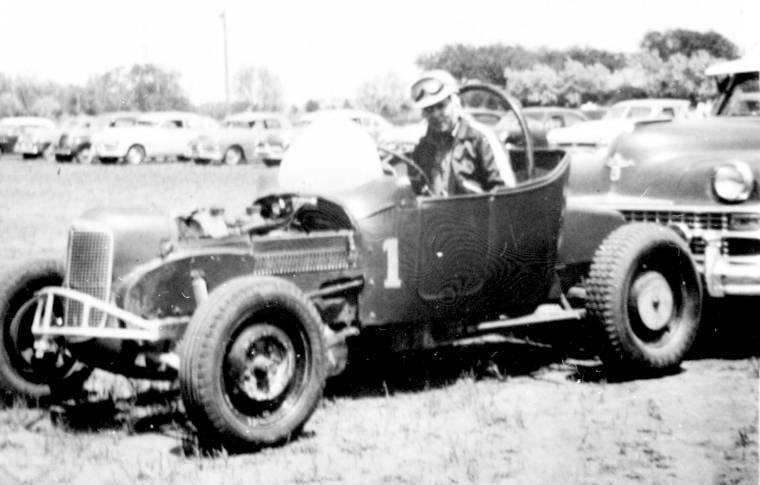 In 1951, he raced at the Topeka fairgrounds; Savannah, Missouri; Macon, Missouri; Belleville, Kansas; and Hutchinson, Kansas. 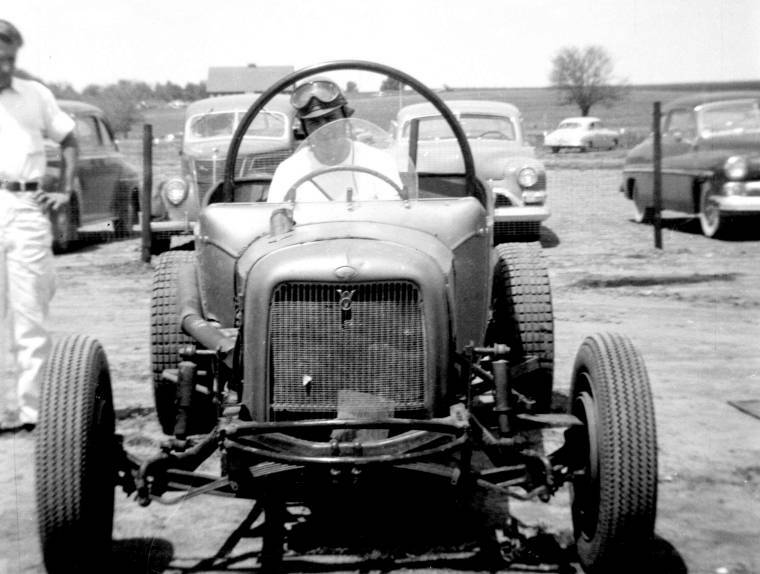 In 1952, (the roadster) was raced in Beatrice, Hastings, Fairbury, Holdrege, and Omaha in Nebraska and at Concordia, Kansas. Apparently in 1953 the hot rods were idle. 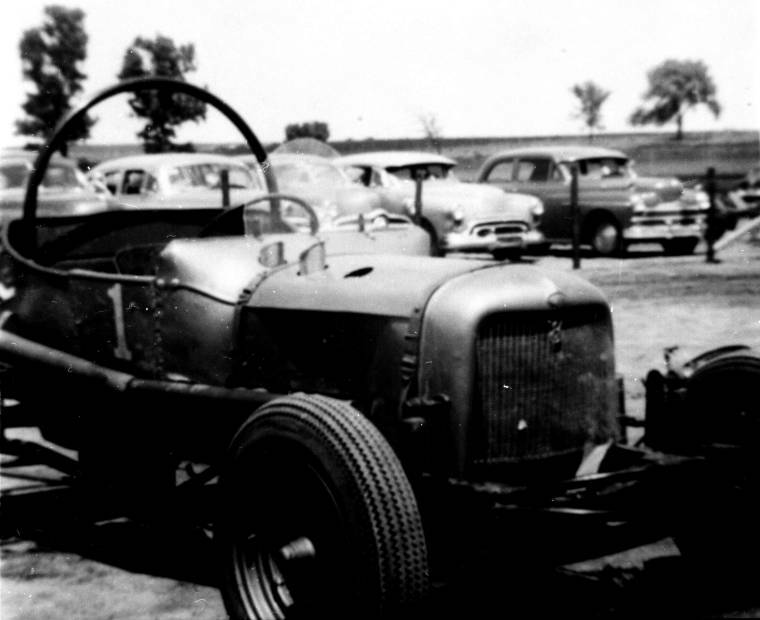 In 1954, the Nebraska Hot Rod Racing Association regrouped for 15 races. We have only found articles for 12 of the 15. Races were at Fairbury, Hastings, Holdrege in Nebraska; Concordia, Kansas and Savannah, Missouri; also a race at Riverside Stadium in Kansas City, Kansas. My father was the points champion for the 1954 season. 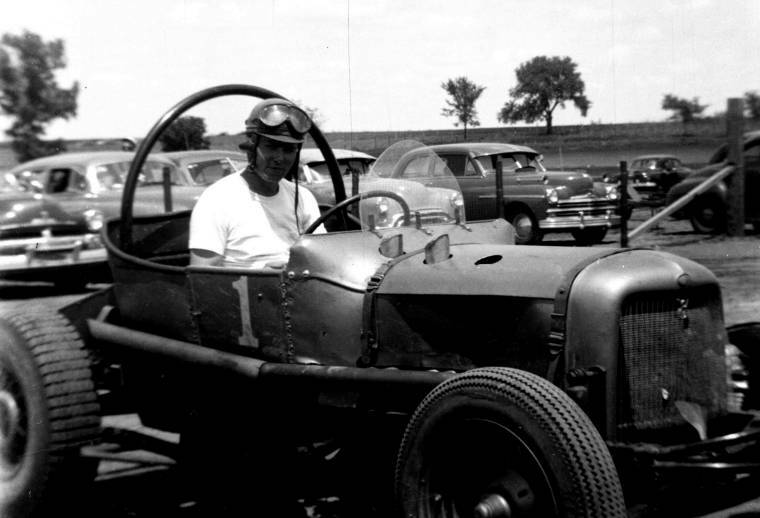 In 1955, the Nebraska group only had three races and tracks around Topeka opened so we think most of the racing was local.